Bollywood films will now be made available to all, on mobile phones. Nothing can be more potent than this combination of films and mobile phones – both growing at a significant pace in India and the South Asia Region. In a recent launch in Barcelona, Spain on Feb 12th 2007, two short films “Zahir” & “Matrimony” were premiered for the mobile medium. 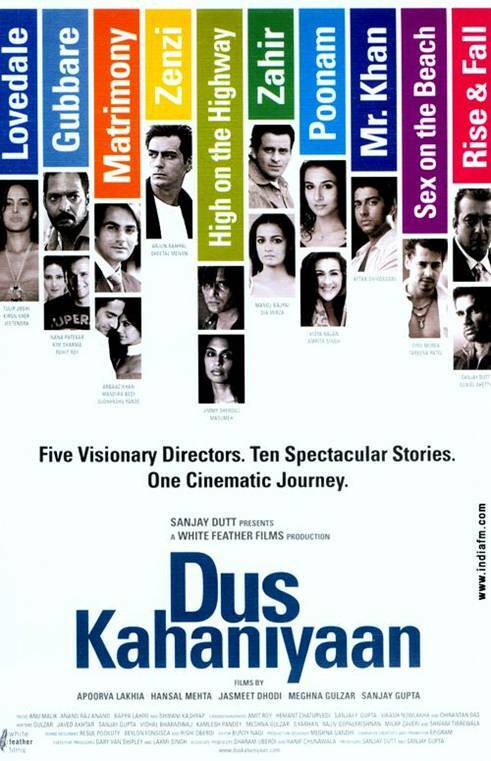 These films are part of feature film “Dus Kahaniyaan” by film maker Sanjay Gupta, featuring ten short stories and starring more than 20 leading Bollywood actors. “The Bollywood Mobile Initiative, is driven by Roamware, the global leader in roaming and mobile connectivity solutions; Hungama Mobile, the world’s largest aggregator, developer and publisher of Indian entertainment and Bollywood content; Sanjay Gupta, a leading Bollywood director; and the GSM Association (GSMA), the global trade association for mobile operators. The World’s largest film industry – Bollywood – produces over 1000 films a year, and is also one of the fastest growing entertainment segments. It has an appeal across, both the 150 Mn mobile phone users of India, as well as markets across continents. It is dubbed in over 35 languages worldwide and has made it to the top 10 charts across markets viz. USA, UK, Germany, Australia, Singapore and South Africa. “Hungama Mobile, which has the exclusive rights to 70% of Bollywood content for mobile devices, has recently signed a deal to use a video codec called Mobiclip, developed by Actimagine, to deliver 24fps video to mobile phones. The technology is designed to not drain batteries or overload the mobile’s processor. Nokia, coincidentally, has announced a contest in India to create short films for mobile phones. Well timed! Entry filed under: india, mobile. Asian budget airlines and Global Nomads	Branded car horn sounds in Singapore? maybe a brand you were once associated will sponsor!